Dr Sim (right) officiates at the 2017 Blood Donors Appreciation Ceremony witnessed by (from left) Dr Hayati, Chew and Dr Wong. Dr Sim (second right) presents the Blood Donors Award to Ang Yu Lok who has donated 175 times. Also seen is Chew (right). KUCHING: Sarawak General Hospital (SGH) needs an average of 250 blood donors daily to meet the needs of the hospital and for emergencies. 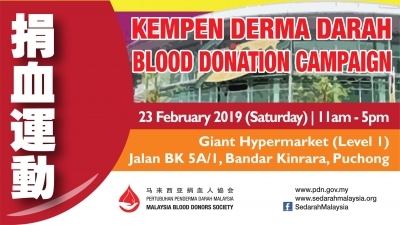 Minister of Local Government and Housing Datuk Dr Sim Kui Hian said it was extremely crucial for the hospital to secure an adequate supply of blood to save or sustain lives. 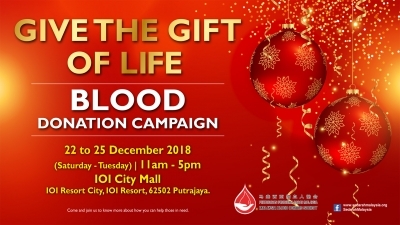 “Kuching city has a population of 750,000 people and I believe the goal to have 250 blood donors come forward daily can be achieved. It is only a matter of will,” he added. Dr Sim said this when addressing the 2017 Blood Donors Appreciation Ceremony held in conjunction with the Kuching-level World Blood Donor Day at Boulevard Shopping Mall here yesterday. SGH deputy director Dr Hayati Ja’afar, SGH medical transfusion specialist who is also the organising committee vice-chairman Dr Wong Yi Shen and Malaysia Blood Donors Society secretary Alan Chew were among those present. 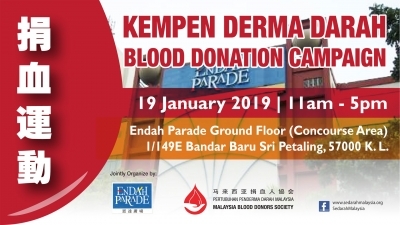 To grow and maintain a sustainable pool of regular blood donors, Dr Sim said it is necessary to increase the number of young blood donors between the age of 17 and 25 to 35 per cent of the donor population. “So when you donate blood especially young people, go in a team of three because it takes three persons’ blood to save one life. One person can only save one third of a life,” he said. He revealed that SGH spent RM100,000 per month to process blood so as to obtain quality and healthy blood for use and maintain its Blood Bank. “The government spends a lot of money on healthcare annually. The entire procedure from pre-screening to laboratory test to ensure the blood is good for transfusion cost around RM200. It is not ‘free’ at no cost,” he added. “Moreover, donors should be proud because if you are eligible to donate, it means you are certified to be healthy. Money cannot buy health and happiness,” he said. 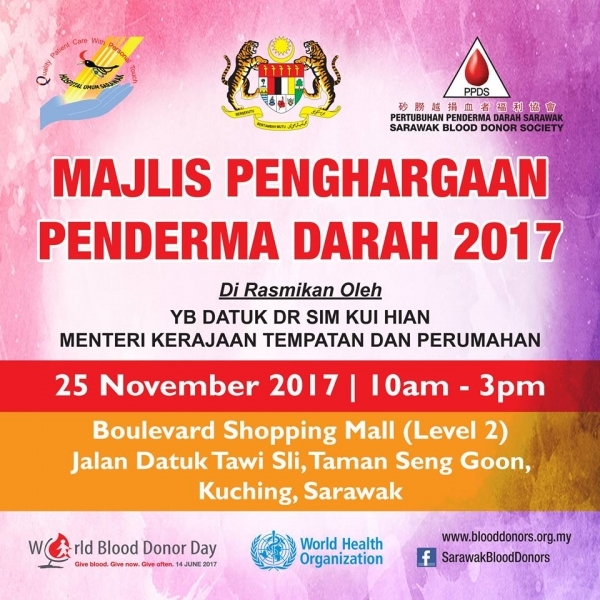 In proposing for a regional blood bank for Sarawak to be established similar to the one in Sabah, Dr Sim urged for the issue to be raised in Parliament and to the Ministry of Health. He congratulated the blood donors for their enormous contribution to sustain the city’s blood supply and giving the gift of love which has given an opportunity for others to live. Earlier on, Dr Wong revealed that active blood donors constitute just around 2.3 per cent of the population. “We have to raise this number to at least 2.8 per cent for a consistent and sustainable blood supply for Sarawak and Malaysia,” he said. SGH Blood Bank, he added, worked closely with numerous organisers to ensure an adequate supply of safe blood to meet the state’s transfusion needs. To encourage more young donors, he shared that campus activities and youth-centric blood drives have been carried out to engage the youths. “Our initiative includes intensifying public education using social media. We have approximately 5,000 likes on our Facebook page ‘Blood Bank Hospital Umum Sarawak’. It helps us to amplify our lifesaving mission on social media,” he said while urging more people to like the page. “In addition, collaborations between non-governmental organisations (NGOs), corporate sector and private sector must be expanded to enhance the level of awareness on the importance of donating blood,” he added. Meanwhile, the appreciation ceremony witnessed 20 male donors and 13 women donors receiving the 2017 Blood Donors Award while 20 most active campaign organisers and 13 campaign promotion organisers received recognition awards from the Ministry of Health. Dr Sim presents a Group Donors Award to the Federation of Chinese Association Kuching, Samarahan and Serian to its Youth Section chairman Lim Chea Ting (second right) and vice chairman Lee Khim Jung (right). Also seen are (from left) Dr Wong, Dr Hayati and Chew. Dr Sim (third right) presents the Blood Donors Award to Datin Lau Ai Huon who has donated 105 times. Also seen are Dr Wong (right) and Chew (second right). Dr Sim (front row, sixth left) in a group photo with recipients of awards in recognition of their lifesaving efforts. 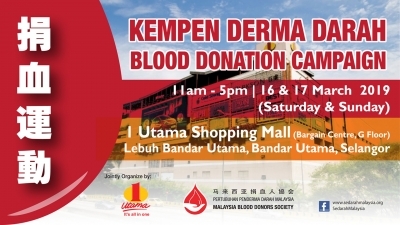 © copyright pertubuhan penderma darah malaysia (malaysia blood donors society). all right reserved.